NBCMegyn Kelly delivering an apology on Wednesday. 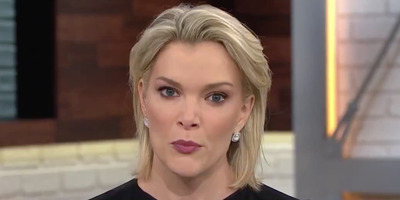 Megyn Kelly wasn’t presenting her usual “Megyn Kelly Today” breakfast show live on Thursday. Instead, NBC aired a rerun of her show from Friday, August 31. During her Tuesday show, Kelly defended using blackface as a Halloween costume. She apologised after facing criticism from her NBC colleagues, and people online, for the comments. CNN reported on Thursday that Kelly may never return. Megyn Kelly wasn’t hosting her NBC breakfast show live on Thursday, two days after she defended using blackface for Halloween costumes. “Given the circumstances, Megyn Kelly ‘Today’ will be on tape the rest of the week,” an NBC representative told Business Insider on Thursday morning. Instead the network aired a rerun from Friday, August 31. In a report published Thursday morning, CNN cited a source as saying Kelly could be gone from the show for good. Entertainment Weekly on Wednesday quoted a “Today” source as saying Kelly would stay on as host until December, when, the report said, she had previously discussed leaving for a “different role within NBC News” having more to do with politics. CNN reported on Thursday that she was scheduled to participate in NBC’s midterm election-night coverage in November but that it was unclear whether she would still do so. Kelly sparked a firestorm of criticism Tuesday by arguing that there were non-racist ways to paint your skin black while dressing up. Blackface is widely viewed as inappropriate regardless of the circumstances, given its racist history in the US. “That was OK when I was a kid, as long as you were dressing like a character,” she added. After Tuesday’s show, Kelly was inundated with criticism and backlash on Twitter, and she apologised on her show Wednesday morning. “I want to begin with two words: I’m sorry,” she said. On Thursday, Deadline reported that Kelly’s management, Creative Artists Agency, had split with the TV host. Other stars managed by the agency include like Ryan Gosling, JJ Abrams, and 50 Cent.